Christina was in her pajamas and had TONS of work to do - being a psychotherapist is no joke - and her then boyfriend, Mark, insisted they take one of their regular, casual walks along nearby Solana Beach. No work or wardrobe excuse was going to stop Mark from taking Christina on the walk that would change their lives forever: he led her to a secluded, little cave on the beach, got on one knee, and asked Christina to marry him. With no doubt, she said yes: yes to supporting each other's driven career aspirations, yes to having children together, yes to having each other's back, always. When I asked Mark what he was most looking forward to on his wedding day, it was no surprise he said, "Having fun," because Mark is a high energy, fun guy who loves dancing to Michael Jackson! Together with Christina, with a smile so bright it lights up an entire room and a contagious, hearty laugh, they invited friends and family from both coasts to a private, eight acre Palm Springs estate to witness their nuptials. Mark is the middle of three brothers and while they were supposed to help him get ready, he gladly helped them adjust their final touches. These three are a riot! In a separate room, Christina was a dab of perfume away from being completely ready. 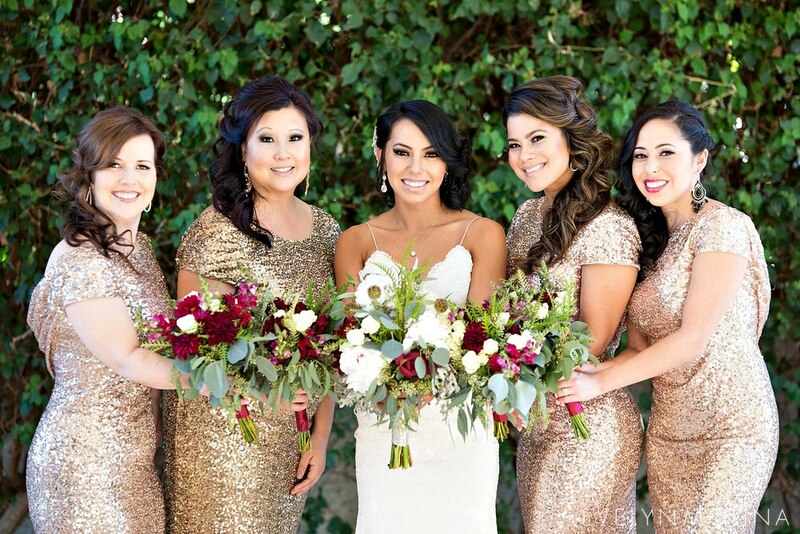 Christina donned a Katie May wedding dress that WOWED. I mean, simply DROP. DEAD. GORGEOUS. 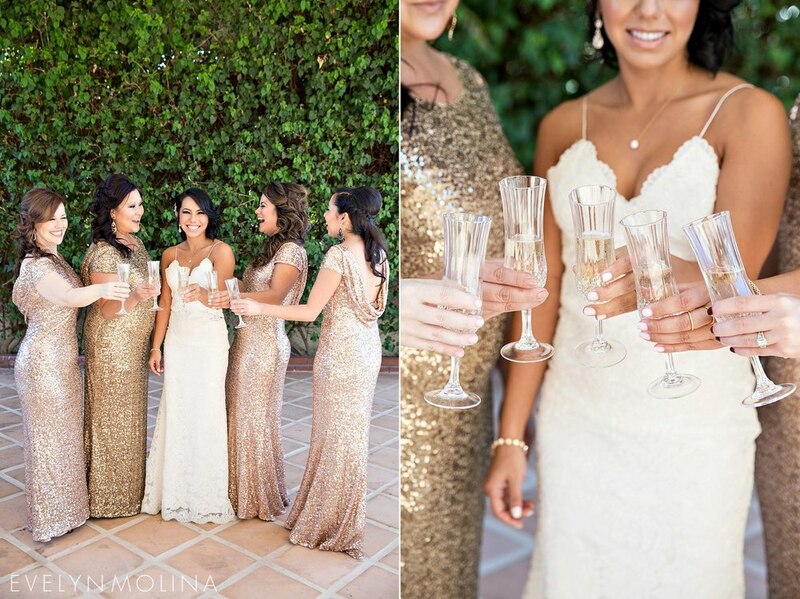 With her bridesmaids at Christina's side, a champagne toast was in order. 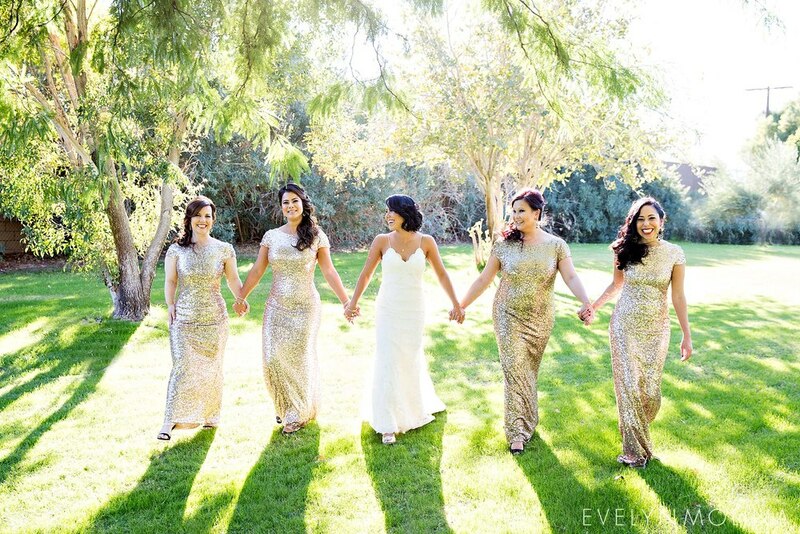 Ladies, those sequined bridemaids dresses, though! Love! Christina and Mark opted to see each other before their ceremony: a first look all to themselves. Mark's reaction: overjoyed. He could not get enough of Christina's every last detail. Tomorrow morning, Part II of Christina and Mark's Palm Spring wedding goes live on the blog, including their sunset ceremony and additional portraits!